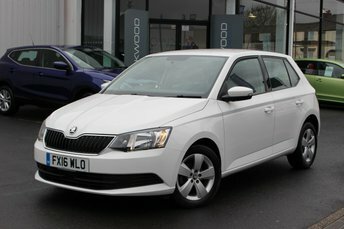 This fantastic example of the Skoda Fabia is fitted with DAB Digital Radio, Parking Sensors for the rear, Android Auto and Apple CarPlay, Bluetooth telephone and media use, Cruise Control with a speed limiter, USB and AUX-in connectivity, an automatic Start/stop system, a multi function Steering Wheel, DriveGreen eco trainer, electronic Air Conditioning, Drinks Holders and Central Locking. This car has been well looked after and kept in lovely condition. 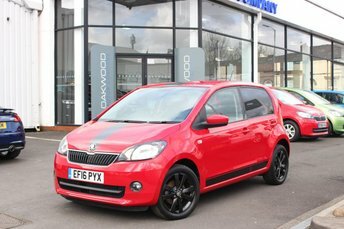 This stunning Skoda Citigo is fitted with the Monte Carlo styling pack which brings VRS style looks while maintaining excellent city car status. Included with this Citigo are 15in Black Alloy Wheels, Bluetooth telephone and media use, FM/AM Radio, USB and AUX-in connectivity, a leather flat-bottom Steering Wheel, Air Conditioning, Central Locking and Electric Windows. The car has been well loved and recently serviced by ourselves. This fantastic Skoda Citigo comes with a detachable Garmin Satellite Navigation system which features Bluetooth telephone and media use. Also included with with Citigo are FM/AM Radio, AUX-in connectivity, heating with Air Conditioning, Drinks Holders, Central Locking and Electric Windows. This car has been well loved by its only owner. 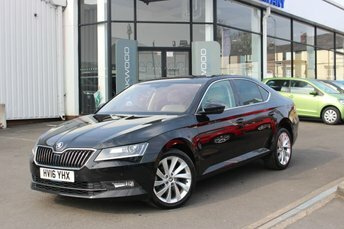 Skoda has significantly excelled in the last decade, and under the careful management of the Volkswagen Group, the manufacturer has supplied an abundance of well-equipped and stylish cars to the British market. 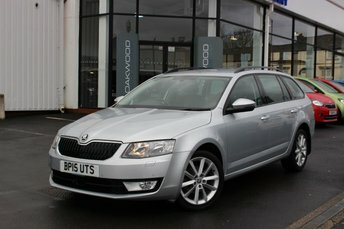 In fact, even those who know very little about Skoda will agree that its cars are extremely practical, for example, the Superb estate offers nearly 2000 litres of space with the rear seats folded, while the Octavia vRS offers spirited driving with excellent performance along with the practicality of a family car. 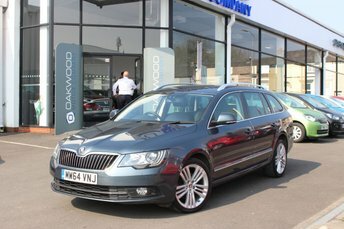 Here at Oakwood Motor Company Ltd, Bury, you can discover a fantastic deal on a used Skoda in fantastic condition, or alternatively, why not give us a call for details on our finance deals?